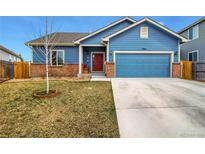 Find Firestone, CO Homes for sale. View Photos, Maps and MLS Data Now! The private backyard features covered patio hot tub and large yard with recent xeriscaping and 24' garden space, & an additional 20x20 patio with firepit to watch beautiful sunsets over the mountains while roasting marshmallows. Gorgeous view of Longs Peak! MLS#7627532. Redfin Corporation. St Vrain Ranch - Schedule your showing private showing today! MLS#3993079. Keller Williams Preferred Realty. Walk to shopping, dining, schools, medical. Move right in! MLS#6233459. RE/MAX Momentum. Overlook At Firestone - Seller Has Letter That You Can Build On Lot Next Door. MLS#2143933. RADIUS REAL ESTATE LLC. Everything in this home SHINES! NO HOA! MLS#7468413. COLORADO LANDMARK REALTORS. Booth Farms - Rustic neighbor behind for a sense of space. Near walking path & park. MLS#4487259. 8z Real Estate. Sagebrush - Tucked away at the end of the cul-de-sac, this property features a 3 car garage, spacious rooms, an open concept from kitchen to family room, 3 bedrooms upstairs, plus a loft, a full unfinished basement, all appliances included. MLS#9922150. RE/MAX ALLIANCE. Quiet cul-de-sac location, AC, low taxes - Hurry! MLS#6013270. Resident Realty. Overlook At Firestone - Close to shopping, dining, parks, schools and I-25. MLS#8737458. Remax Nexus. Full-house humidifier & radon system added in 2017. MLS#3875225. Redfin Corporation. Overlook At Firestone - Master is huge with ensuite bath that includes double shower, soaking tub and walk in closet. MLS#9264861. Coldwell Banker Residential 14. St Vrain Ranch - Home is completely ADA accessible; while fully ADA accessible there is no compromising on the character and beauty of this home. MLS#3447992. Resident Realty Colorado. Quick commute to I-25, Hwy 119 and Hwy 85. Low HOA. Come see! ! MLS#9853902. RE/MAX Vista. Great location and easy access to freeways and amenities! MLS#6978789. Five Four Real Estate, LLC. Overlook At Firestone - Full unfinished basement w/rough in plumbing MLS#4455714. RE/MAX TRADITIONS. This community features extensive trails, wide open spaces, and twin sapphire lakes all set against backgrounds of deep blue skies and Colorado's breathtaking sunsets! MLS#3806061. RE/MAX Masters Millennium. Mountain Shadows - Great location with easy access to I25, close to shopping, restaurants and other services. MLS#2036850. Berkshire Hathaway HomeServices Rocky Mtn Realtors. Buyer to verify room measurements, schools and sq ft. MLS#4440405. THE TC GROUP. Step into the professionally landscaped backyard with the extended patio and relax while taking in the beautiful mountain view and breathtaking sunsets! Set your showing today! MLS#1626551. Coldwell Banker Residential 30. Overlook At Firestone - You won't need to lift a finger...just move in to your perfect home! MLS#5646309. COLDWELL BANKER DEVONSHIRE. Shed is leased for $25 per month or purchased for $1500.00 MLS#8230772. RE/MAX TRADITIONS. Oak Meadows - This must see home will not disappoint! MLS#8771186. RE/MAX Momentum. St Vrain Ranch - Beautiful exterior elevation with large stone archway, covered & private patio. See this home today! MLS#6435686. Legacy Real Estate Group. Overlook At Firestone - Screened in porch & fabulous yard for you to enjoy outdoor living at its best! MLS#2787207. Keller Williams 1st Realty. Stoneridge - Easy access to Denver, Fort Collins, Boulder, and Longmont. NEW ROOF put on 4/2/19. MLS#4554402. Keller Williams Advantage Realty LLC.